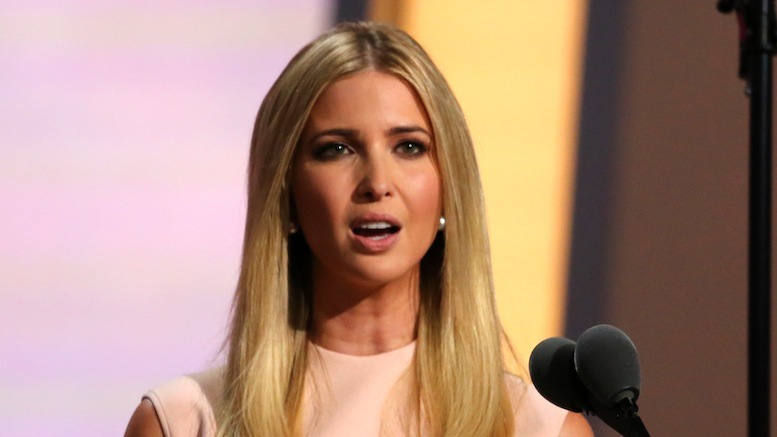 Ivanka Trump has announced that she is closing down the fashion line that uses her name. Though she regrets all the menial jobs that will be lost in the Chinese labor market, she said there was a silver lining to her decision. Doing both was too demanding, she confessed, especially as her nepotism work was based here in the United States, while her work in the fashion industry was based anywhere but the United States. Trump said she plans to increase her workload giving advice to the highest levels of government on matters of employment, trade and national security on the basis of her being the fruit of the loins of the current White House incumbent. Retail experts say she will be missed in the industry. Her leaving the fashion industry follows a family tradition of sorts, as her father, Donald J Trump, also shut down an eponymous fashion line, in his case to focus on a new career in demagoguery. 1 Comment on "Ivanka Trump Closes Down Fashion Line To Focus On Nepotism Full-time"